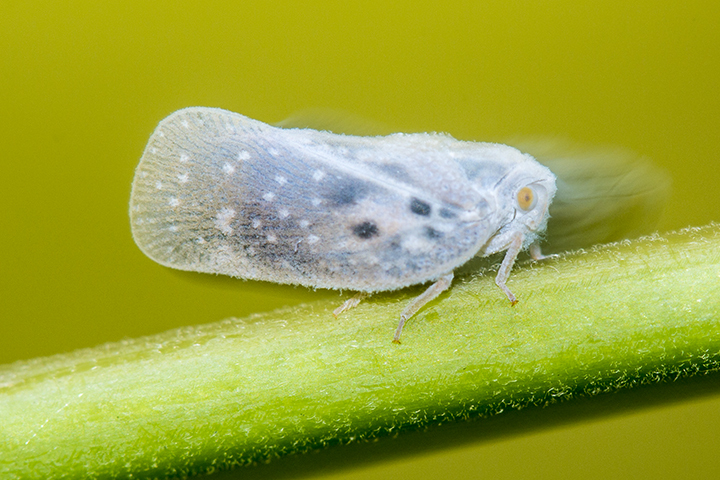 This entry was posted in Insects and tagged citrus flatid planthopper, Metcalfa pruinosa on January 28, 2017 by John Valo. There are about 75 species of spurred gentian (genus Helenia) worldwide. Only two occur in North America north of Mexico. Only one, American spurred gentian (Halenia deflexa ssp. deflexa), is found in Minnesota. American spurred gentian is an often overlooked member of the Gentianaceae (gentian) family. Its flowers are much smaller and less showy than the more common bottle, pleated, and fringed gentians. It blooms in northern Minnesota under partial shade in moist coniferous forests (especially at the edges), cedar swamps, and bogs, and on river banks. It is often encountered on woodland trails that are wide enough to allow some sunlight to filter through. From July to August American spurred gentian produces clusters of green to yellowish, often purplish-tinged flowers. The flowers have four petals, each of which has a long, downward-pointing spur at the base. There are no similar species in Minnesota. 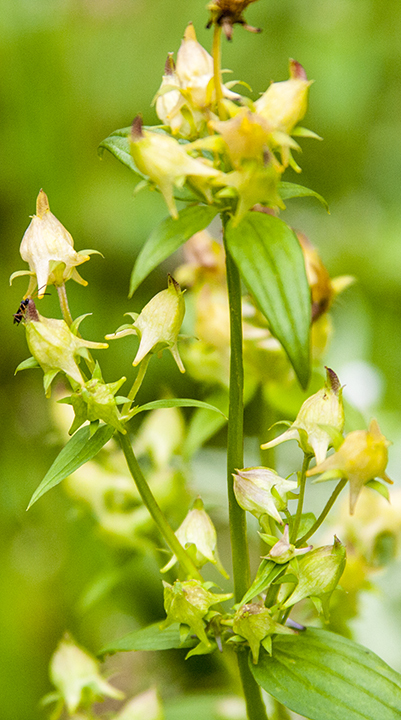 This entry was posted in Plants and tagged American spurred gentian, Halenia deflexa ssp. deflexa on January 22, 2017 by John Valo. 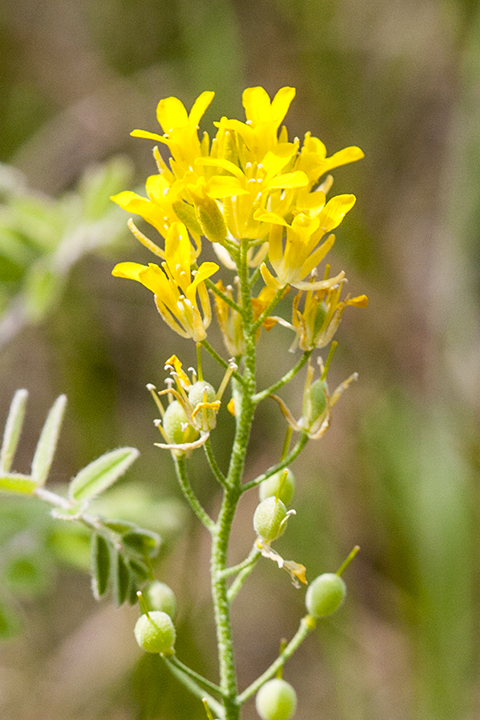 This entry was posted in Plants and tagged Louisiana bladderpod, Physaria ludoviciana on January 7, 2017 by John Valo.